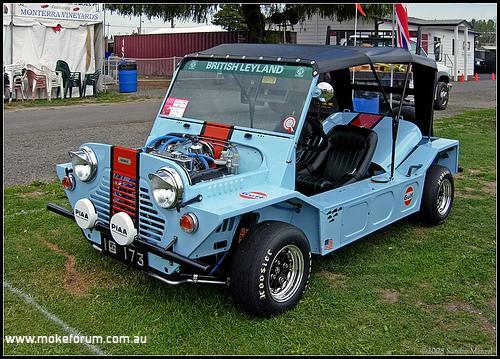 it is your Moke, you make it what ever colour you like. Have you found one already? And absolutely make it whatever colour you want, Spruce Green, whilst not a bad colour in the day, might not be the colour you want. Almost origional condition apart from bar work....hmmmm i wonder how deep this black hole will go? I would contain the excitement until you actually the get the Moke and get it home and make sure it runs and thew brakes work and that the suspension(front looks like it needs replacing) and driveline are good or what work is needed and what sort of cost you might be in for to get it up and running in a roadworthy condition. In one of your posts you talk about buying replacement floor panels but have mentioned a few times there is little rust so I am not sure just how much or little you have so when you get it home take some photos of the rust you can see and then we can advise you as to whether you need a whole floor or just a couple of patches. If there is a lot of work, your boiler maker mate might not be your mate for much longer. Unless it is a real basket case, and it doesn't sound like it is, then I suggest take the shortest route to get it up and running and on the road so you can find out how it drives, if the gearbox crunches coming down to second, if the engine is gutless or over heats etc. Once you know your Moke a lot better then look for the best way to get it looking how you want. If you only have a small budget above purchase price then take it slowly and you will get a much better result. 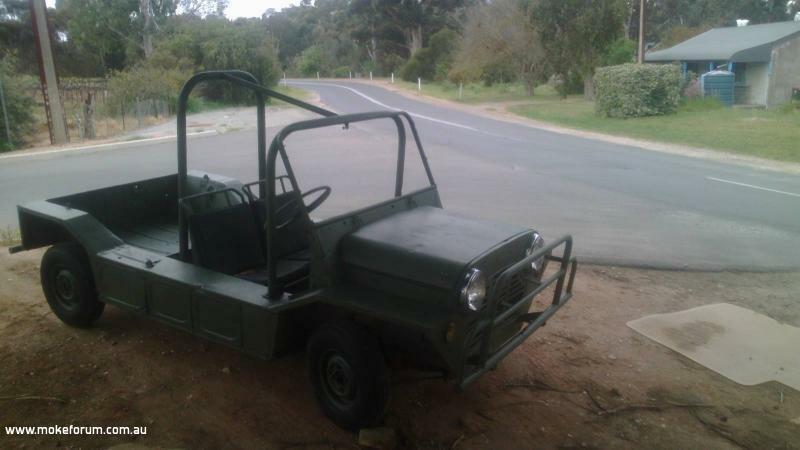 It does look like a pretty good little wheeler Moke. Theres not too many around thats for sure. As Terry said, find out how it drives for a little while, the season to find out is in your favour , then plan your steps to get things back in order. And please, that ( some would call it a roll bar ) is really awful , surely its one of the first things to go. Hi Baggs, I'm guessing but if I'm not mistaken you were up in the Barossa Valley region (maybe Kapunda area).